A YEAR OF JUBILEE REVIEWS: 2 Days till Homestead Review Week!! 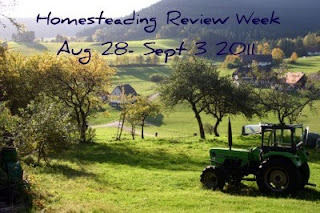 All books homesteading, farming, crafting related!! From Quilting to Chickens to Honey Bees to Gardening and more!! Looking forward to meeting some homesteaders whether in the country or urban and how you are enjoying the 'simple' lifestyle! Grab your friends and join me for a week of fun reading, reviews and giveaways! !